A line of credit also known as revolving credit boasts features of loans along with credit cards wherein you can borrow an amount and instead of making timely rigid payments, you can flexibly refill the credit limit. A line of credit helps a borrower to access funds anytime. Regardless of whether he needs it or not, he can still enjoy steady cash inflow with a line of credit. However, it is important to know that a borrower must not exceed the maximum limited as decided between him and the lender. Furthermore, if you are applying for a personal line of credit in Mumbai, you are required to have a monthly salary of INR 40,000. However, in cities such as Jaipur, you need a minimum salary of INR 35,000. Thus, you must check minimum salary requirement before approaching a financial institution. Credit Score: Regardless of the loan type, a credit score is what matters the most. It is an instrument through which financial institutions determine your financial capabilities. A good credit score can help you avail a personal line of credit with a higher limit. Furthermore, even the repayment benefits can be provided if you have a noteworthy financial credibility. Thorough Research: Before you apply for a personal line of credit, it is essential that you conduct a thorough research. Do not fall for new banks providing a higher rate of interest. Take all the stability related aspects into account especially the ratings. There are highly certified NBFCs which offer better financial options than others, do not be hesitant in approaching them. 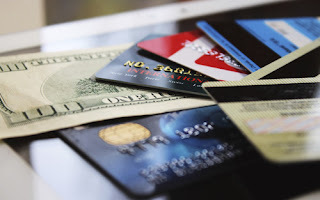 Avoid Maxing Out the Credit Card: When focusing on the line of credit, it is essential that other things be in place. If you own a credit card, it is essential that you keep it up to date. Do not exhaust it and make sure you repay on time. Your credit card standing will considerably help your line of credit standing. Thus, make sure you do not overuse the credit card and keep it for dire needs. Start Small: When it comes to taking a personal line of credit, it is important that you do not go over the top. Keep the financial urges small and to the point. Utilise optimally and only if it is necessary. The best part about the personal line of credit is that you pay interest only on the amount that you use and not the entire sum. Lastly, have all the required documents in hand so you can access them on the go. Be clear about why you are borrowing and how you will utilise it. Approach the right lender and refill the credit promptly. These are a few things that you must take care of apart from the points above.